Even as a child Tom Sullivan was an entrepreneur. He’d charge the kids in his Boston neighborhood to watch him do bicycle tricks, and as the oldest of 11 children there were plenty of kids around. He dreamed of building a business he could one day take public. His first official business, a contracting firm, wasn’t quite the success he hoped for and neither was the syndicated travel show he tried to launch in the 1980’s. His persistence and desire for success paid off in 1993. He began buying excess and scrap wood from lumber yards and reselling it out of the back of his pick up truck to homeowners and contractors. A business was born when he got a load of flooring to resell and realized that unlike lumber purchasers who picked through the wood, flooring purchasers took the whole bundle. Out of necessity, he created a low cost business model that foregoes fancy showrooms, high rent locations and expensive advertising. The savings are passed on to customers. 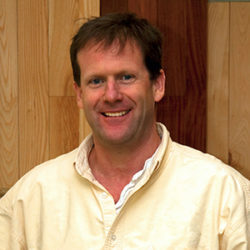 Today, Sullivan is the Founder and Chairman of the (floor) Board of Lumber Liquidators, the largest specialty retailer of hardwood flooring in the US. They carry one of the largest inventories of pre-finished and unfinished hardwood floors in the industry and offer a variety of brands for residential and commercial construction, including Bellawood Prefinished Hardwood Flooring with a 50 year warranty. Since the opening of the first store in West Roxbury, Ma. in 1996 Lumber Liquidators has experienced steady growth. There are now more than 200 stores in 46 states and more than 750 employees. Tom moved the company to Colonial Heights, Virginia in 2000, but quickly outgrew the new distribution center. The company is now headquartered in Toano, Va, and has a 300,000 sq ft distribution center. On November 9th, 2007, the final chapter of Tom’s dream was realized when Lumber Liquidators had its initial public offering on the New York Stock Exchange. Tom Sullivan is dedicated to many philanthropic organizations including Erik Weihenmayer’s School Tours; Erik was the first blind person to climb Mount Everest. He is a Trustee for the National Braille Press and sits on the Board of Directors for several private companies. Sullivan was named Virginia Entrepreneur of the Year by Ernst and Young in 2003 and received their Entrepreneur of the Year Award in 2008 in the Retail and Consumer Products category. He enjoys water sports, travel and dabbling in real estate. He remains actively involved in the purchasing of lumber and marketing for the company. Tom modestly attributes his success and the success of Lumber Liquidators to three key principles: hard-work, dedication and perseverance. Lumber Liquidators has been recognized by Virginia Business as part of their Fantastic 50 two years in a row, and Inc. Magazine’s 500 Fastest Growing Private Companies. They are an official sponsor of HGTV’s Dream Home, the flooring supplier for ABC’s Extreme Makeover Home Edition and have been seen in the feature films Dodgeball and Get Smart.